All plants require nutrients and marijuana is no different. It is important that plants get the right amount of the correct nutrients. Our nutrients page takes you through the basics. 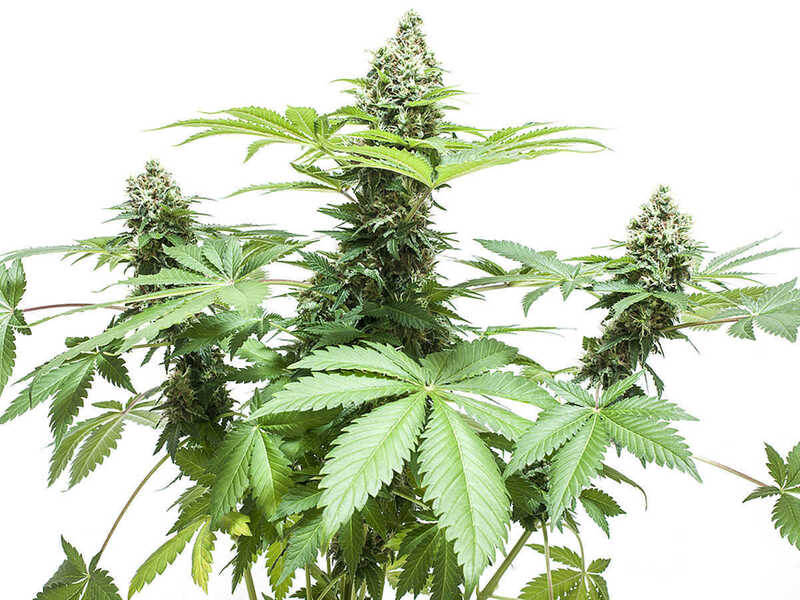 Just as they are to people, proper nutrients are essential for marijuana plants. Without them (or with too many), marijuana plants can become unhealthy, and even die. No marijuana plant can survive without the right nutrients, but this is one area that’s extremely intimidating, especially to novice growers. So what nutrients do marijuana plants need, and how can one tell if they’re getting enough – or too much? The primary nutrients needed for marijuana plants are Nitrogen (N), Phosphorous (P), and Potassium (K). While these are the three main nutrients, marijuana plants also require secondary nutrients. These include calcium, sulphur, magnesium, boron, copper, molybdenum, zinc, iron, and manganese. Any plant food purchased will have a ratio on the package. That ratio states the amount of Nitrogen, Phosphorous, and Potassium – in that order. So a 15-15-15 plant food would contain 15% Nitrogen, 15% Phosphorous, and 15% Potassium. Any plant food will most likely contain all the primary, secondary, and trace nutrients that are needed, especially if plant food specifically for marijuana is purchased. Marijuana plants also need different amounts of nutrients depending on what stage of growth they are in. For the first two weeks, after the seeds have germinated, marijuana plants shouldn’t receive any nutrients at all. Nearly every kind of soil will hold some trace nutrients for the plant, and this will be enough for the first two weeks. After those first two weeks have passed, the plants can then be given a 50% nutrient solution (solution mixed with an equal part of water) and from then on, the plant can be given a 100% nutrient solution. Plants will need different amounts of nutrients depending on what stage of growth they are in. Plants in the vegetative growth stage will need more nitrogen, but smaller amounts of potassium. Typically these young plants will take a plant food with a 20-10-10 ratio, or similar. During the flowering stage of growth, marijuana plants will need more phosphorous and potassium than they did while in the vegetative stage. They’ll still require some nitrogen, although not as much, and calcium will also become more important than it was in the earlier stages. Nutrients will need more attention when the plants are grown in a hydroponic medium. Firstly, growers need to make sure that they’re using a hydroponic nutrient solution to ensure that the nutrients will be absorbed by the water and delivered to the plants. Also, as the water evaporates and is used to feed the plants, the water level in the reservoir will drop. To replenish the water, tap water should be aged for three days before being added back to the reservoir (this is not a necessary step if using a reverse osmosis filter or distilled water). The nutrient solution will also need to be changed every two weeks in hydroponic setups, with the entire reservoir, pumps, and other equipment being cleaned with hot water at that time. This will remove any nutrient build-up, making sure that the plants don’t receive too many nutrients. But this doesn’t necessarily mean that growing in soil makes administering nutrients any easier. When dealing with soil, growers have to make sure that the pH level is never too low or too high. The pH level of anything is how “alkaline”, or acidic, it is, and marijuana plants like soil that is slightly acidic near the roots. So while the pH level of something completely neutral, such as water, sits at 7, the pH level of the soil for marijuana plants should be around 6. If the pH level isn’t right, the plant won’t be able to absorb the nutrients properly, making all of the grower’s hard work for naught. To properly check the pH level of the soil, there are many tools that can be purchased. One is a pen that just needs to be placed inside the soil, or growers can purchase test strips that will test the soil for them, and turn different colors depending on the pH level. Using these pens makes testing and correcting pH levels easy, and takes away any intimidation. Growers, especially those who are new to growing, often ask whether they should be purchasing liquid nutrients, or those in dry powder form. Truthfully, it doesn’t really matter. Either way, a small amount of the nutrient solution should be placed into a small amount of water and completely mixed together before they are added to either the watering can or water reservoir. This will ensure that the nutrients are evenly distributed throughout the water and that each part of the plant is getting the same amount of nutrients. After the plants are given nutrients and fully grown, the grower’s job is still not done. This is because when plants are given nutrients right up until harvest time, those nutrients are still in the plant when they are dried and smoked. This can cause problems with the marijuana burning, and the nutrients will definitely affect the taste of the marijuana. To prevent these problems, it’s important to flush the plants for about two weeks before harvest. 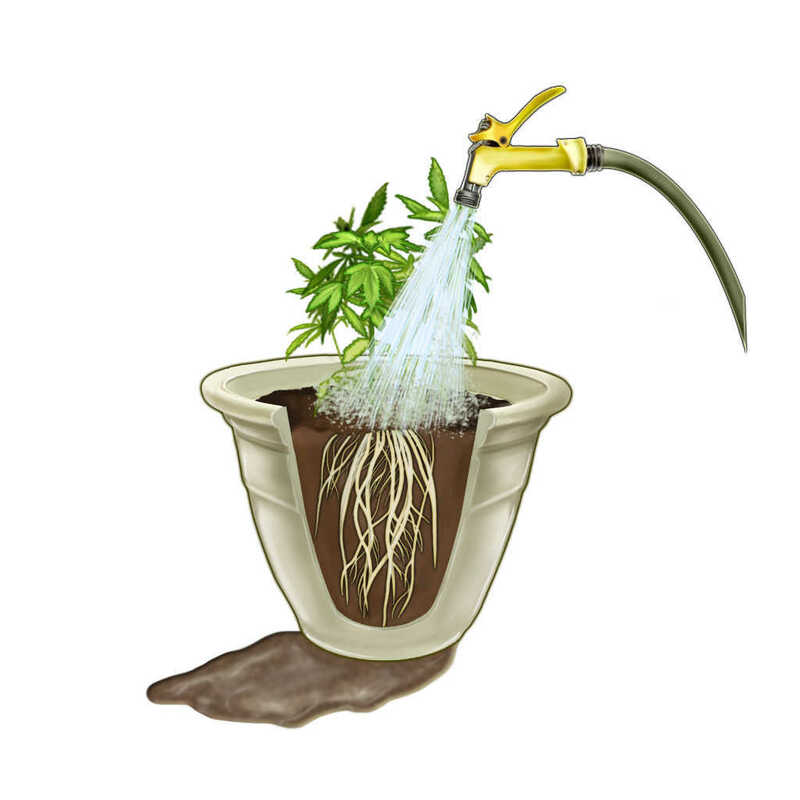 Flushing is just a term given to marijuana plants when they are given water only, with absolutely no nutrients mixed in. This process gives the marijuana plant time to “flush out” all extra nutrients, leaving only a beautiful and tasty bud to be smoked. If there’s one area of growing marijuana that’s going to make new growers nervous, it’s feeding the plants nutrients. And while it’s true that things can go very wrong very quickly when giving nutrients to any plant, it’s a task that’s easier than it seems at first. And once growers have given their plants nutrients just once or twice, they too see how easy it is, and why there was never any reason to feel nervous about it. Some possibilities are 1- you may have used to hot/too much nitrogen o 2- you over watered?.